He might have meant: Here comes Peter the denier and Thomas the doubter, and the converted pagan Augustine of Hippo. Or here comes the soldier Ignatius, and the scholar Aquinas, and the tent-maker turned missionary Paul. 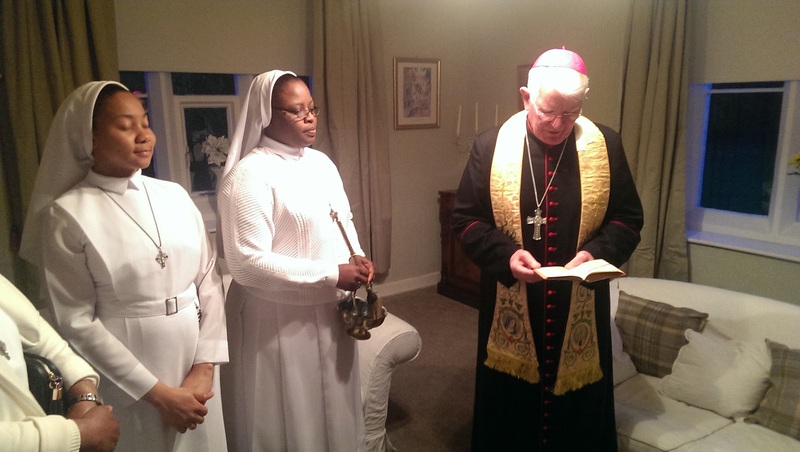 Here comes the powerful Catherine of Sienna and the ‘little‘ Therese of Lisieux. Here comes peace-loving Francis, preaching to the birds. It’s true we are all that and much more besides! We are the monks who copied scripture onto parchment, and preserved God’s word. 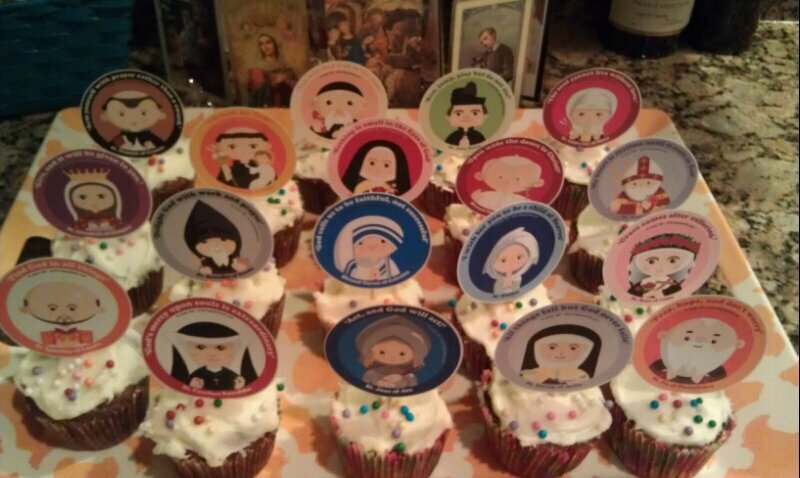 We are those priests, nuns and friars who could barely speak the language, but went on the missions all the same. We created hospitals, the hospice system and the most extensive school system on earth, passing on what we knew, and what we believed – with a care for every human person created in God’s image. 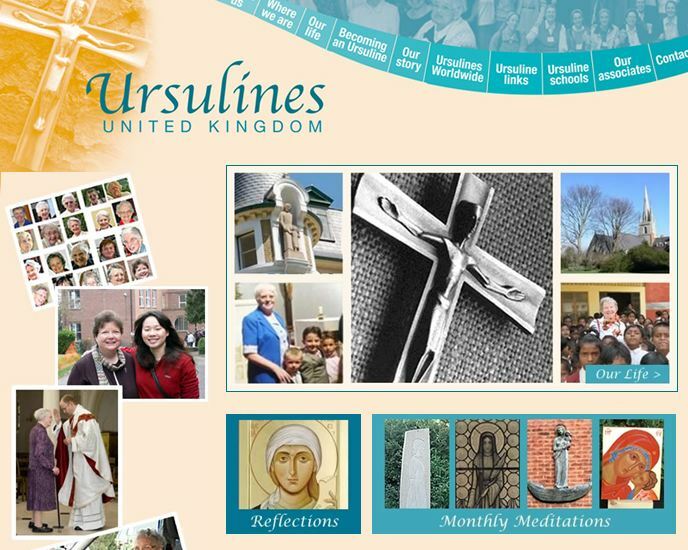 Today in the Diocese of Lancaster, we are the workers from Poland arriving in Morecambe and Carlisle and migrant nurses from Kerala living, working and worshipping in Blackpool and Preston. 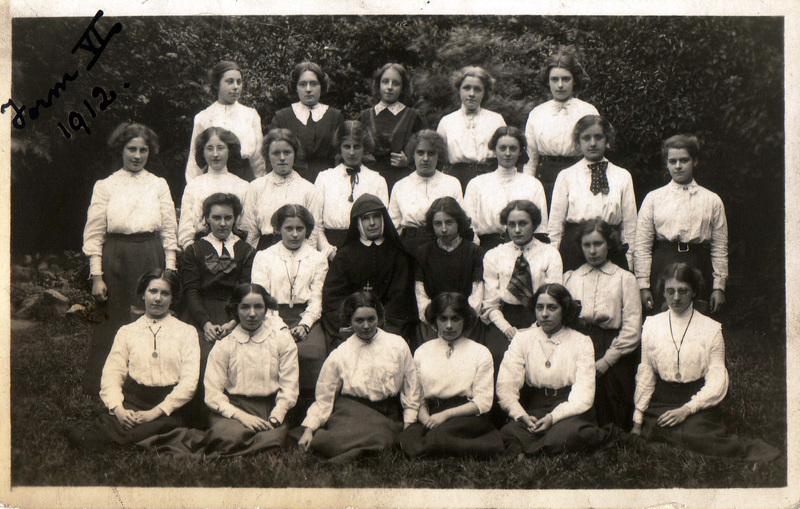 We are Chesterton and Merton and Hopkins to name but a few. 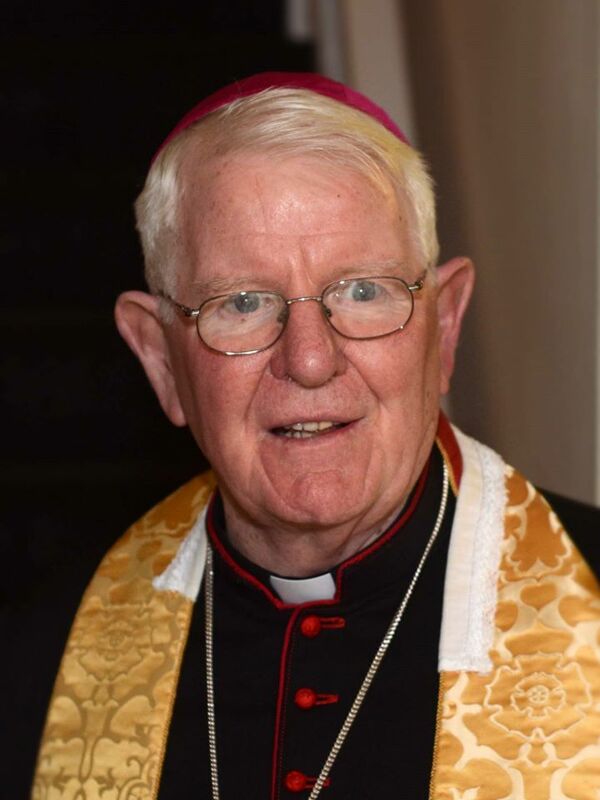 We are the martyrs of Lancashire and Cumbria: like John Plessington, Christopher Robinson, and then the believers of every age: Jeb Bush, David Alton and Oscar Wilde, Cardinal Basil Hume, Tony Blair and Fulton Sheen. 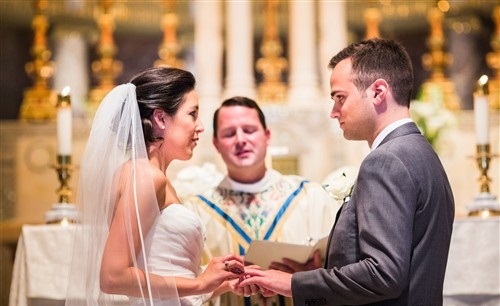 We are the married couple Louis and Zélie Martin, the martyr Oscar Romero, Popes Paul VI and John Paul II, to well-known figures of today Delia Smith and Anne Widecombe and many more. 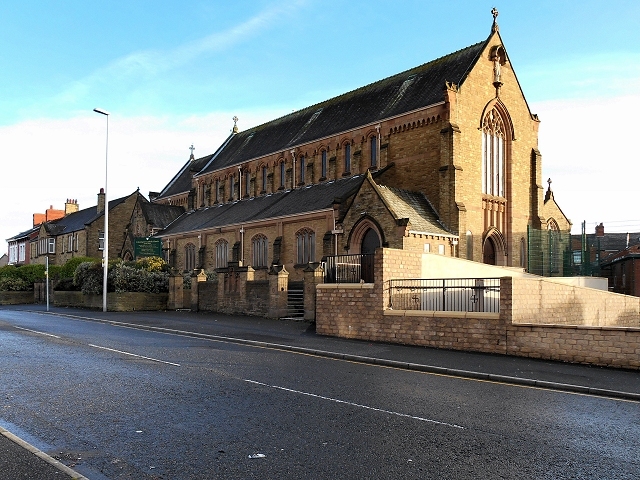 We are the soldier in combat at Mass or praying the rosary, and the homeless man or woman in Blackpool who still pops into the Sacred Heart on Talbot Road, Blackpool and finds a welcome there. We are Jacob and Chanel, about to be baptized this weekend. 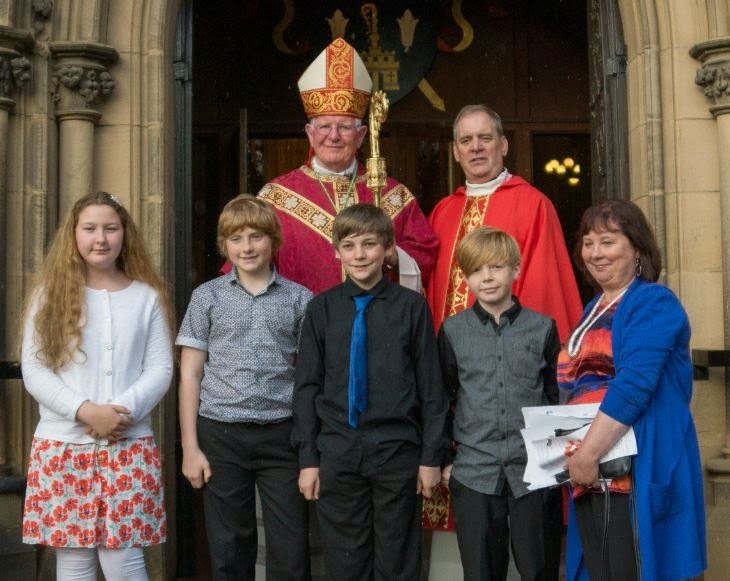 We are Lynsdey, Samantha, and Anna with Justin, Michael and Jacob prepared to be confirmed as the Bishop comes to town! 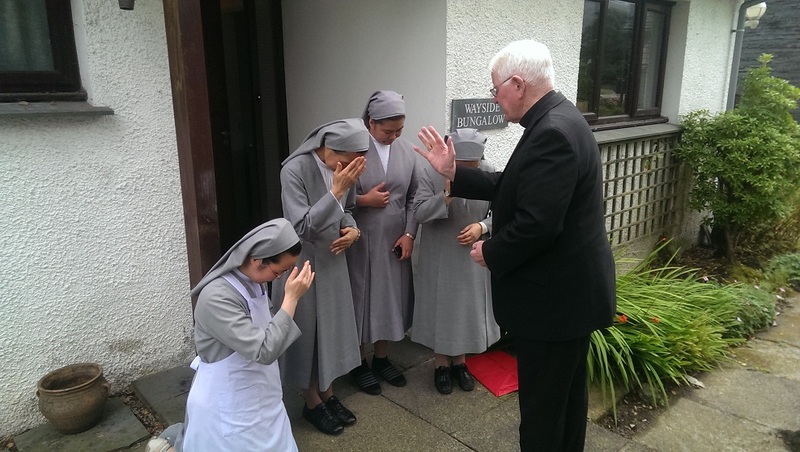 We are the Eileen and Betty who were known locally at daily Mass, supported their parish and so many charities, encouraged the Altar Servers from school, and whose funerals are to be celebrated next week and the week after. We are the saints. 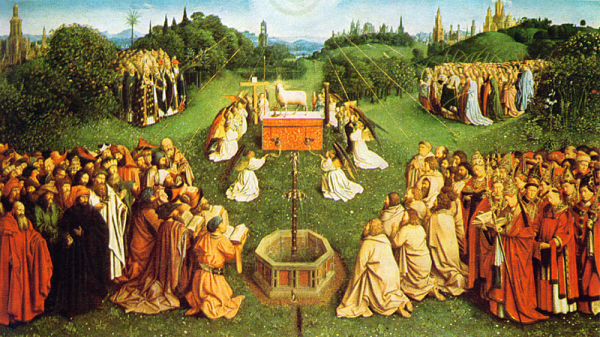 We are the sinners – sometimes painfully so – We are God’s family through Baptism. We are everybody! We are the Body of Christ. Bruised. Broken. But resurrected and given new life, new hope. Changed forever…. We are people who live in the resurrection. 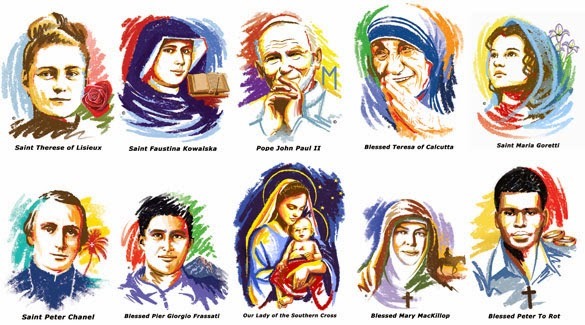 We are men, women and children – the young and the old – the families and the ‘heroic’ married couples, those single, ordained and consecrated persons of faith – who hold the light and keep the flame still burning. Remember all those who came before us, and all who still join us and will continue to do so in the years to come! All the official ones and those many names we shall never know who held that candle, and helped spread the light, to proclaim not just the ‘good news’ – but the greatest news in all human history: Jesus is Lord! 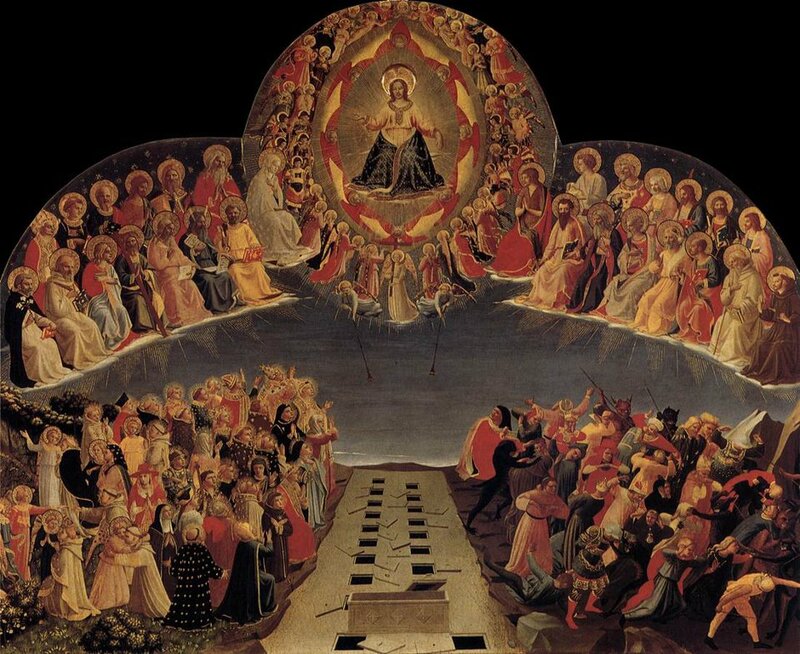 The saints on earth and in heaven worship and praise Almighty God because we are saved from sin and death. Baptized into Christ, we rise with him to eternal life. 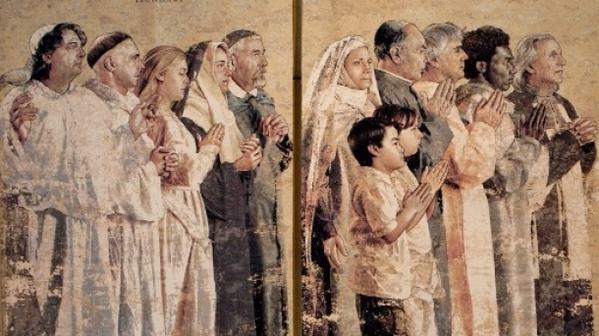 This can be seen in the scriptural description of the Church triumphant, which is a great multitude of “every nation, race, people, and tongue,” wearing white robes and carrying palm branches in their hands. 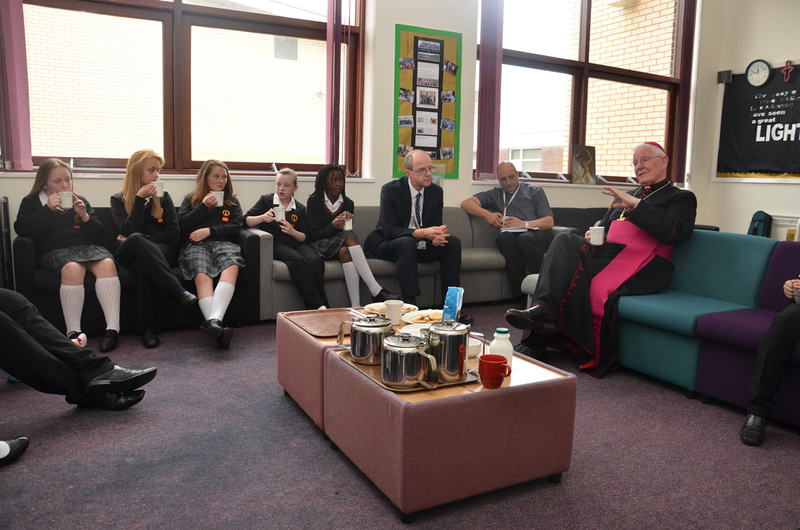 Welcome back to the Bishop’s Blog – a reflection on the work of Education and Formation that goes on in our Diocese of Lancaster! 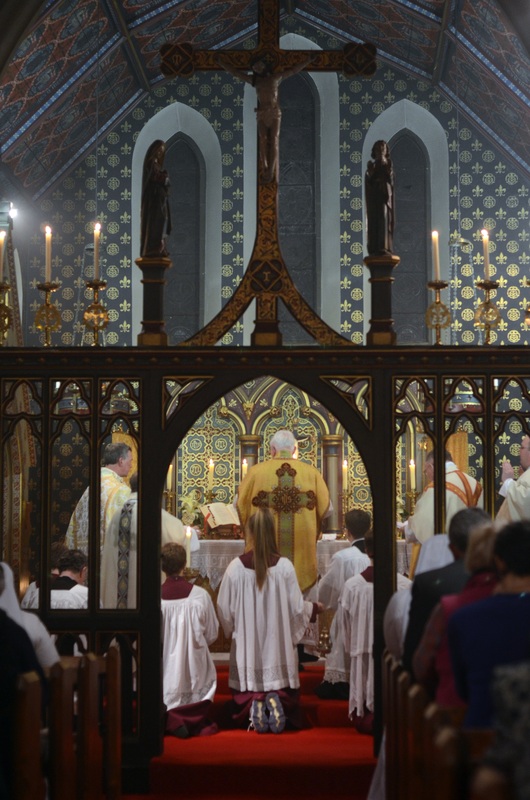 On 16 October 2015 the annual Education Mass (organised by our Education Centre) was celebrated – a Votive Mass of the Holy Spirit – in a packed Cathedral Church. 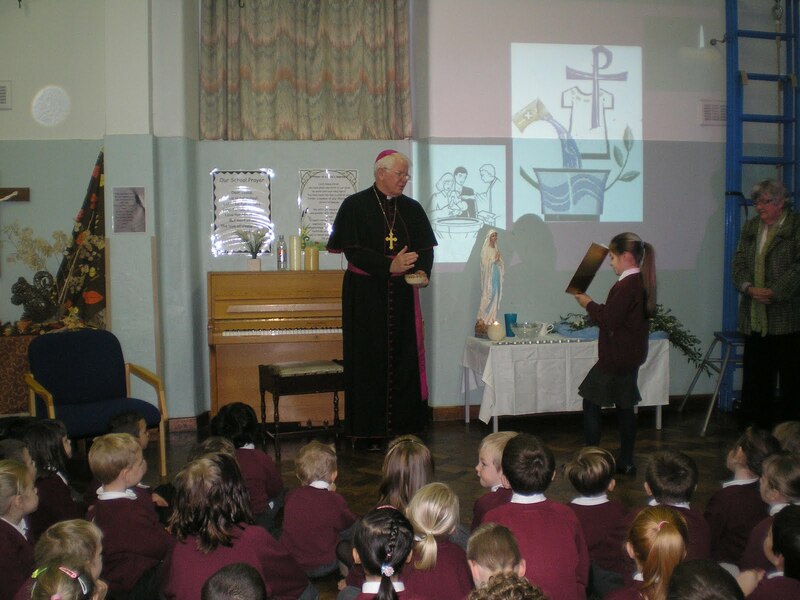 This gave me the opportunity on behalf of the Diocese to thank Almighty God for all those engaged in Catholic education and formation and the handing on of the faith of the Apostles in all its aspects. 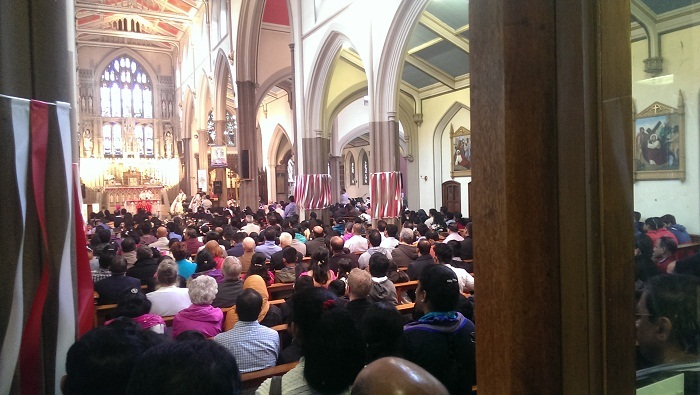 It was impressive to see a full St Peter’s Cathedral for the concelebrated Mass, with newly qualified teachers, those recently appointed to headships and deputy or assistant headships, and other categories who were all publicly acknowledged with their respective certificates. 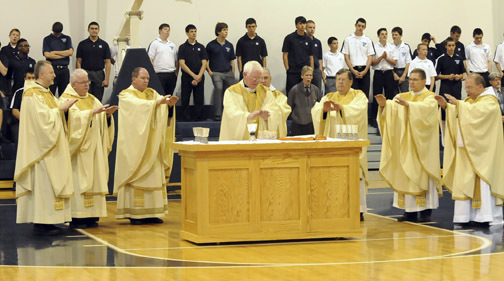 Gratitude was also expressed to several retiring heads and deputies, now stepping down after long years of service to the Catholic community and its young people. 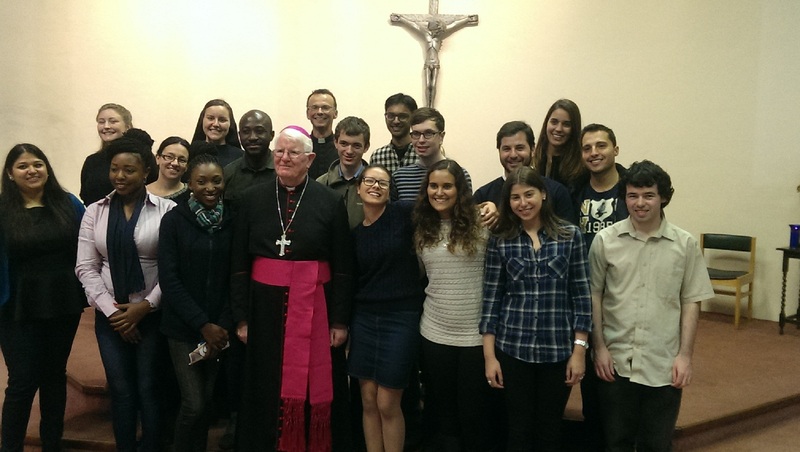 The coming together for this Mass and the social gathering afterwards gives everyone a wider perspective on their teaching and educational vocation as well as a sense of unity, and an awareness that they form part of a much larger community of faith. ‘“The Paraclete will bear witness to me; and you also will bear witness.” (John 15:26-27). The apostle Paul uses remarkable language in that extract from his letter to the Romans. He speaks of the whole of creation groaning and in birth pangs until God’s full revelation and purpose is finally revealed. Likewise, we believers who have already the first fruits, or initial installment of the Holy Spirit, groan and look forward in hope to the fullness of our redemption, body and soul. We are looking forward, but have not yet arrived! What is the great Apostle getting at here when he speaks of creation having birth pangs? In the same context he mentions the presence and the role of the Holy Spirit who comes to assist us in our weakness, to help us to pray and so see things from God’s perspective. What is more, the Holy Spirit intercedes with the Father on our behalf when we simply cannot find the words to say. How consoling! 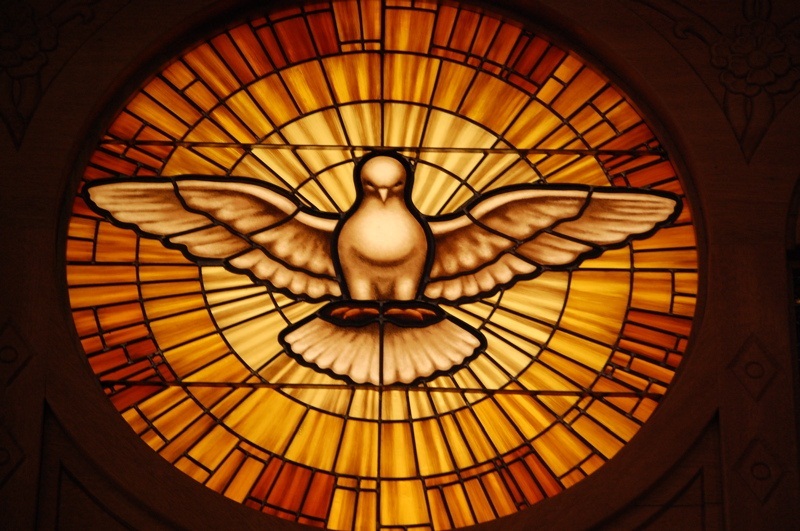 So the Holy Spirit helps us to make sense of the complex and constantly evolving world in which we find ourselves as teachers, governors, catechists, students, and guides to the young, all in the service of the Catholic faith. It was that same Spirit which the Lord Jesus in the gospel promised he would send his disciples to enable them to be his witnesses. The Spirit will lead them, and us, into an ever deeper understanding about Jesus and the things of God. He would lead those disciples, and us, into the way of truth, which is what the human spirit ultimately desires. Christ does not renege on his promises, he keeps his word, and so his family which is the Church, the school or academy of believers, has the guarantee of the Spirit’s guidance, inspiration, enlightenment and so much else at every moment in history. We have the assurance of the Spirit of Christ on our journey, we therefore have nothing to fear. Let us return to that puzzling passage from St. Paul. We human beings and believers need to remember that we too form part of God’s creation and our divine creator has great things in store for us. We are all too conscious that we live here within the bounds of limitation and weakness, yet so often our desires and our aspirations, shall we say dreams, far transcend much of which we are actually capable. We are a people in waiting – waiting for the fullness of life gained for us by Christ through his suffering, death and resurrection. As teachers, catechists, governors, past or present, we have the call from Christ to be witnesses to his gospel and to his truth. With that call comes the accompanying gift of his all-powerful Holy Spirit to guide our steps on every part of what is a noble educational journey in all its forms. St. Paul hints at creation being a process, with a beginning and moving to that final destination – beyond our power of imagination – which God intends for it. 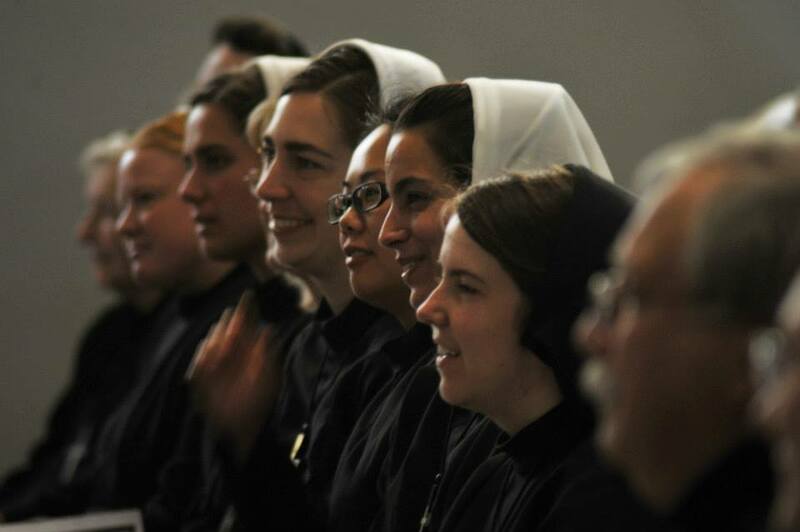 In our different vocations we each work to establish the kingdom of Christ. Our work is a privilege and is blessed, but will necessarily always remain partial and incomplete. 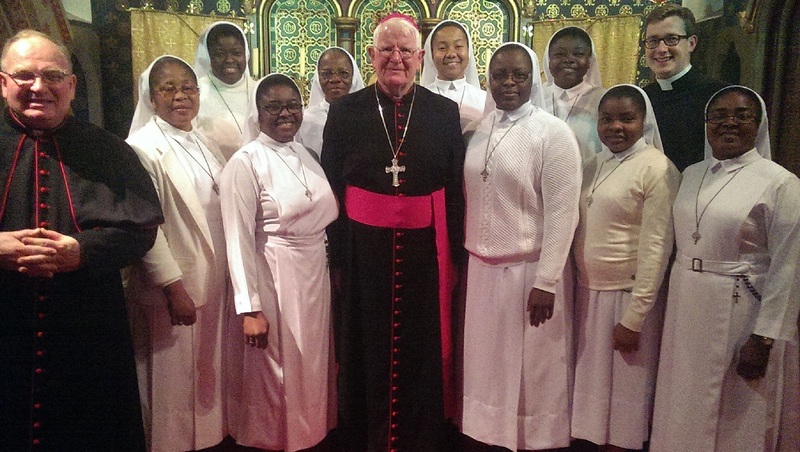 I joined the parishioners of Our Lady and St. Wilfrid’s church, Warwick Bridge, now part of Our Lady of Eden parish, Carlisle, for a dual celebration on Monday last – with a beautiful school choir from Newman Catholic School, Carlisle: it was the feast day of St. Wilfrid as well as the occasion to extend an official welcome to two Nigerian sisters from the Congregation of the Handmaids of the Holy Child Jesus who have recently taken up residence in the parish house there. 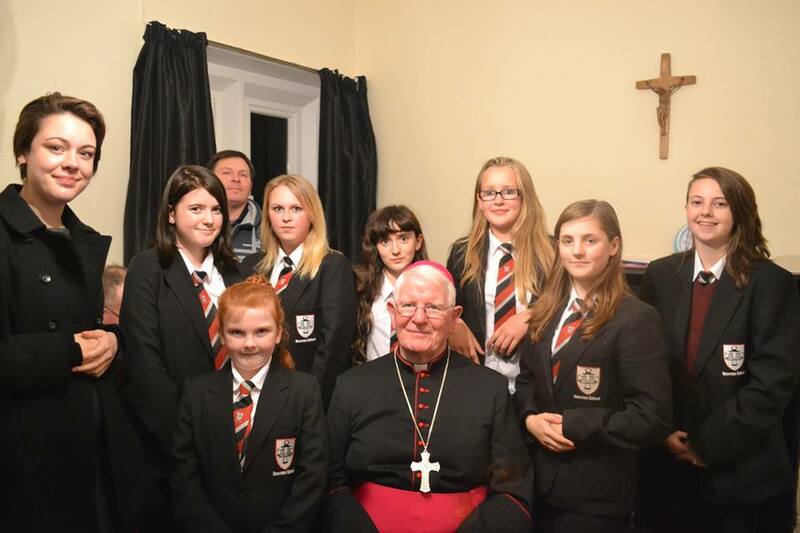 One sister will perform the role of parish sister, while the second will be engaged in school chaplaincy work. 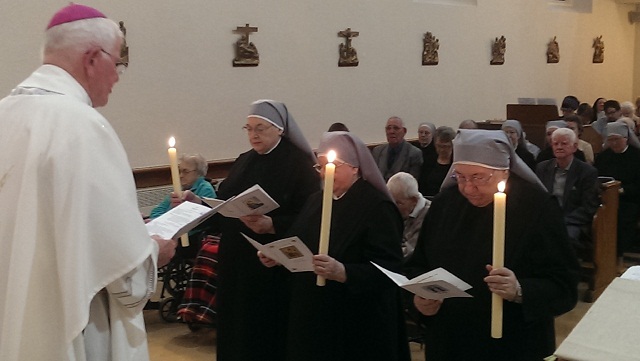 The sisters were welcomed warmly by the parishioners and were joined at the Mass by their Congregation sisters from elsewhere, who made a striking impression! 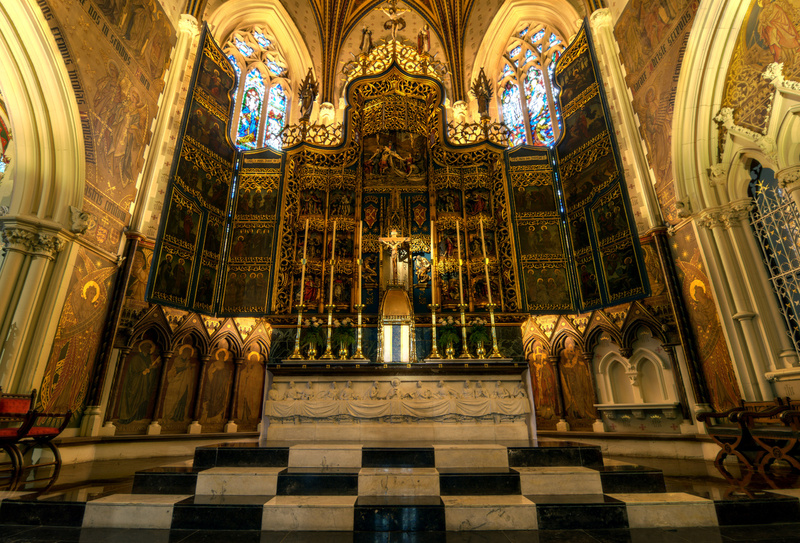 Their presence in Warwick Bridge turns yet another important page in the long Catholic history of this parish and church, the latter designed by the famous Augustus Welby Pugin and built in 1841. 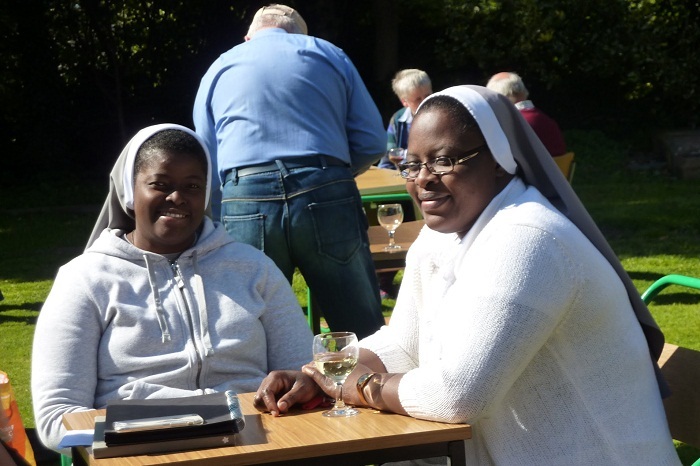 We wish the sisters well and feel sure that they themselves will be richly blessed and be a source of blessings for the parish of Our Lady of Eden, to the wider Diocese and to the renewed body of religious communities in this Diocese. 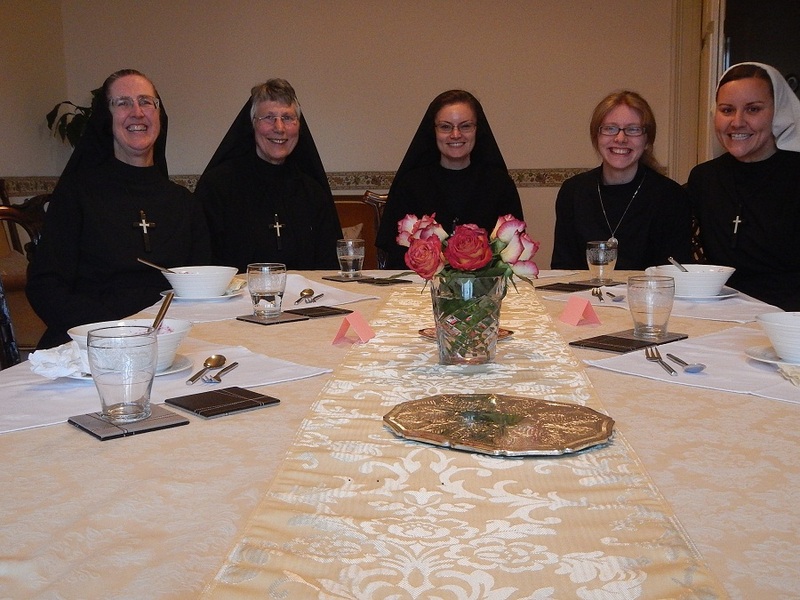 On Tuesday evening I had the pleasure of entertaining to dinner a number of our jubilarian priests to thank them for their years of priestly ministry and service to our people in the Diocese of Lancaster. 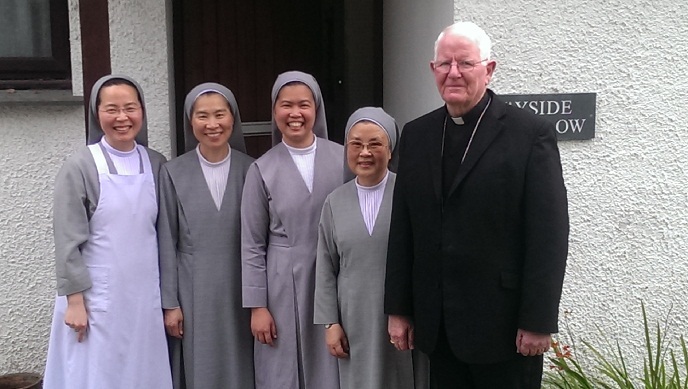 Three of these priests were marking their silver jubilee, two of them celebrating their fortieth year of priesthood, and a third his golden jubilee. Memories were shared and the conversation swung between the past and the present over a pleasant meal. 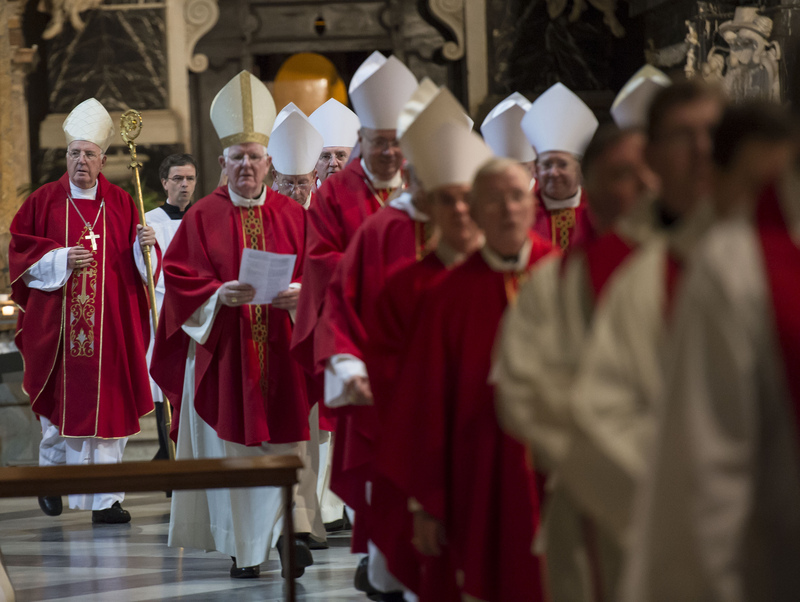 The Church is grateful for the faithful priestly witness of these Lancaster priests and thanks them and all jubilarians for all that they do and have done. Ad multos annos! Speaking of priests and priesthood, on Thursday morning, the feast of St. Teresa of Avila, I joined our retired priests at St. Winefride’s House, Bispham, for Mass and chatted with them afterwards over coffee, made more enjoyable by one of the priests having a birthday and duly providing a birthday cake! 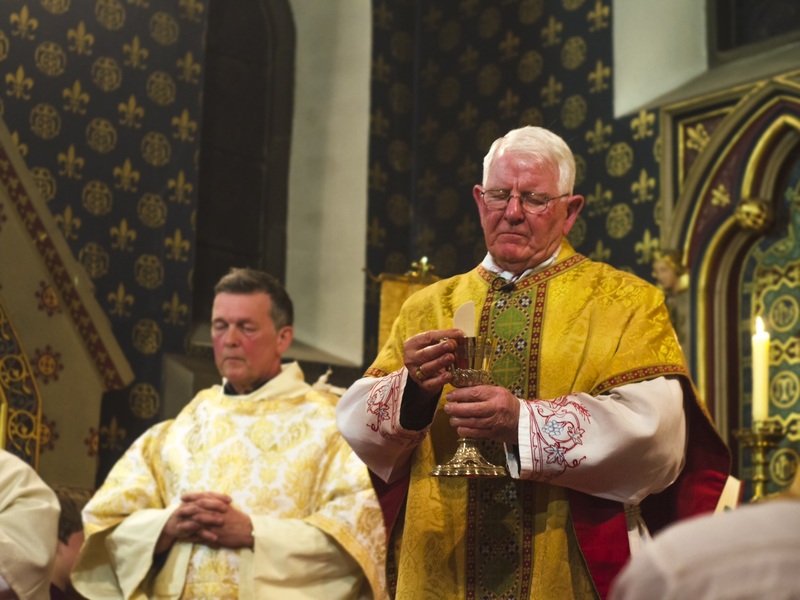 It is reassuring to see our senior priests so well-cared for, and edifying to note their reverence and attentiveness to the sacred liturgy. 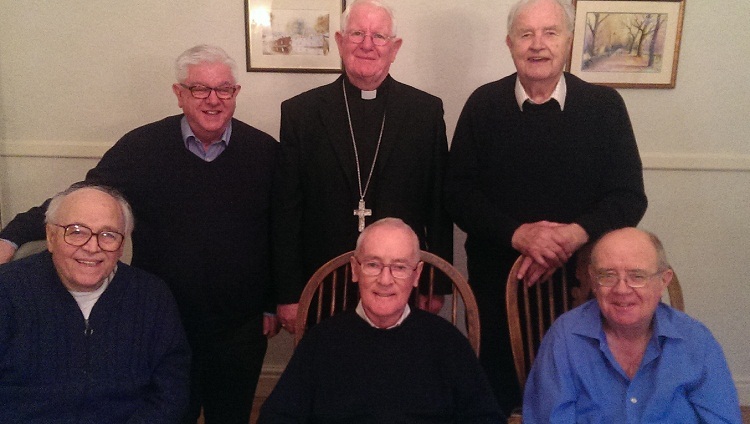 I suppose loneliness inevitably accompanies retirement and getting old, but as so often can be the case, I felt cheered and uplifted for being in the company of our senior priests. 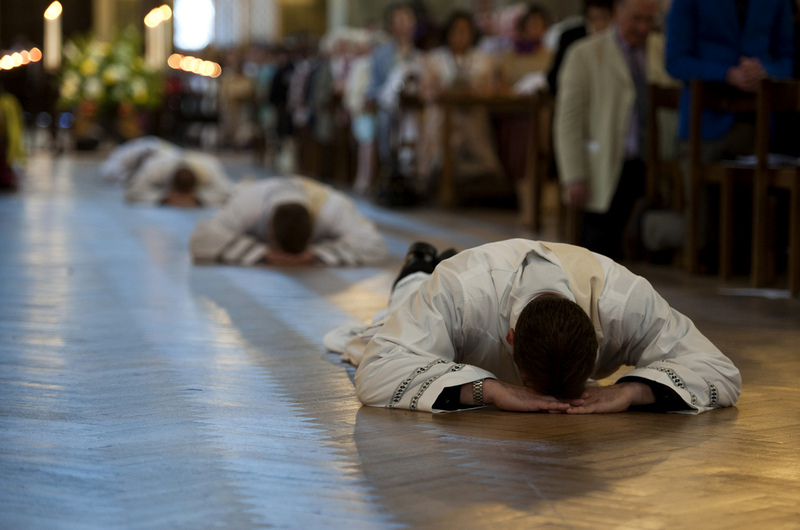 They continue to fulfil a quiet but effective ministry as priests, and as bishop I speak for all when I say how much I appreciate their prayers and general interest in the life of the diocese. They too are much remembered in our prayers. 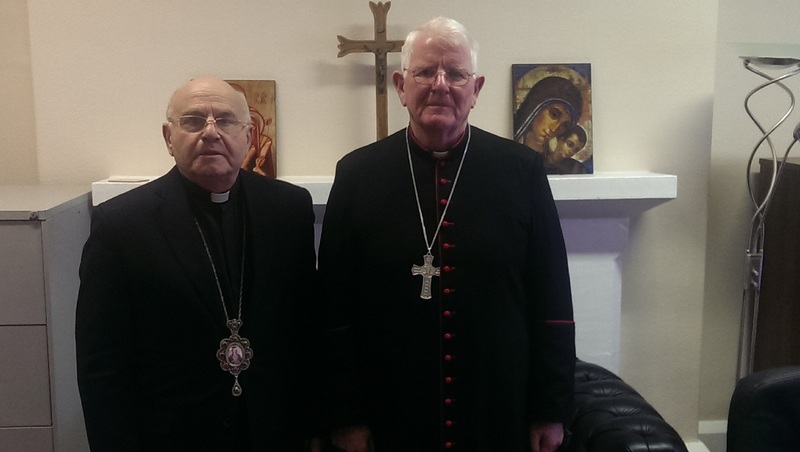 Later on that same afternoon I had a visit from the Archbishop of Aleppo, Syria, a place sadly much in the news at this time and for the wrong reasons. Archbishop Jeanbart spoke vividly about the destruction being wrought on this ancient city as a result of the present civil war. 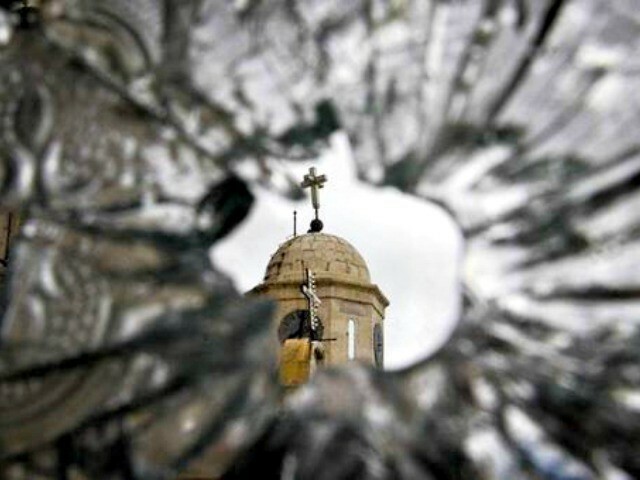 He also reminded me of how Catholic Christendom in Syria goes back to the very beginnings of our faith, with the presence of Syrians in Jerusalem on the first Pentecost Day when the Holy Spirit was poured out on all those present to give birth to the universal Church. Please do not forget us”, were his words to me. 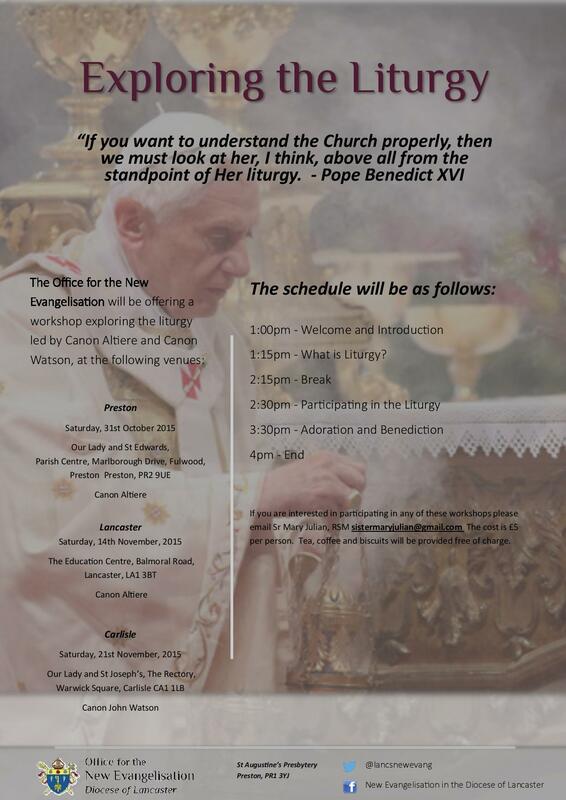 His visit to the UK will certainly have raised awareness of the plight of this proud and resourceful people, and he is grateful for all the practical assistance he has received for the welfare and support of this ancient Church. 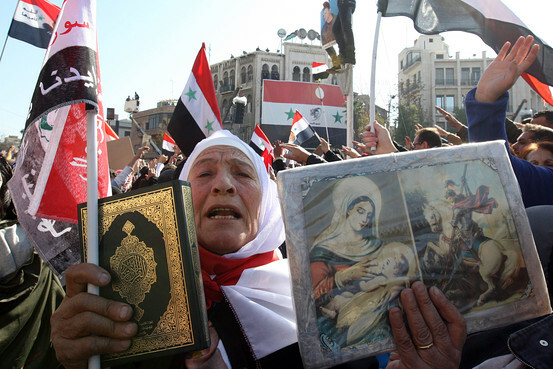 Let us keep Syria, and the whole Middle East, in our prayers! 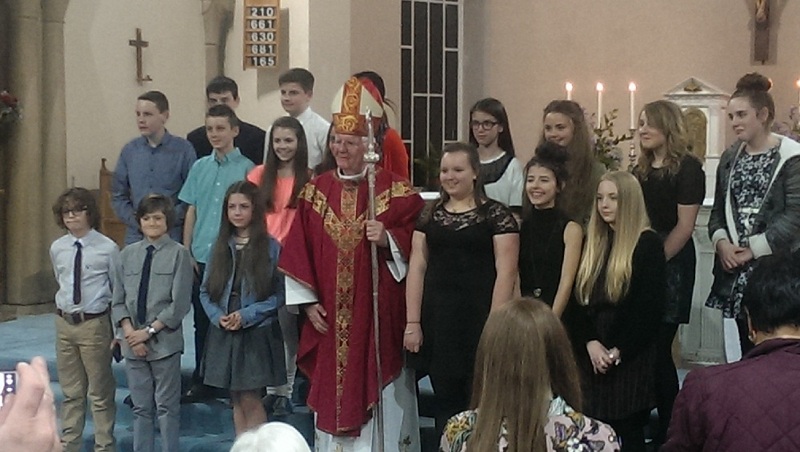 It was the turn of part of the West Cumbria deanery to have Confirmation and on Thursday evening I travelled to St. Mary’s, Egremont, to administer the sacrament to seventeen young people from several parishes in that deanery. 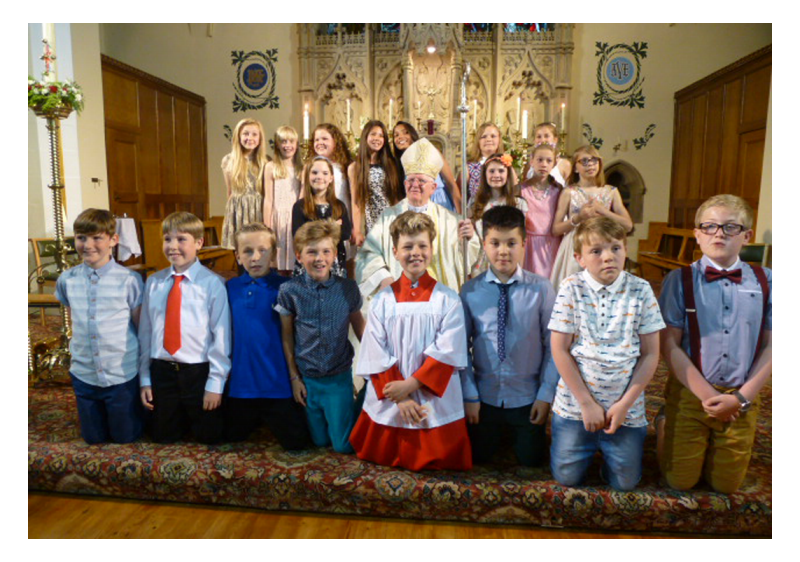 The young people were well prepared for this moment, and were joined by their clearly delighted parents, families and friends. I felt that this was the Church come together in faith and in prayer, to be part of this Confirmation ceremony in support of the next young adult generation of Catholics. 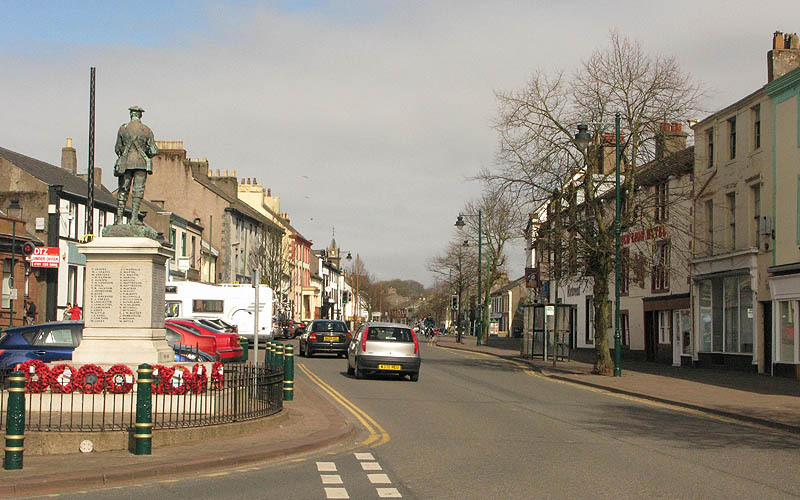 It really was lovely to be in West Cumbria and experience yet again the warmth of this welcoming Catholic community. This Sunday’s Gospel highlights for us the radical, beautiful, life-encompassing vocation of following Our Lord Jesus Christ. The young man comes to Jesus looking for the fullness of life and holiness and to follow Him. He is already a good man following the commandments, but Jesus demands even more, in fact – he demands all he has! 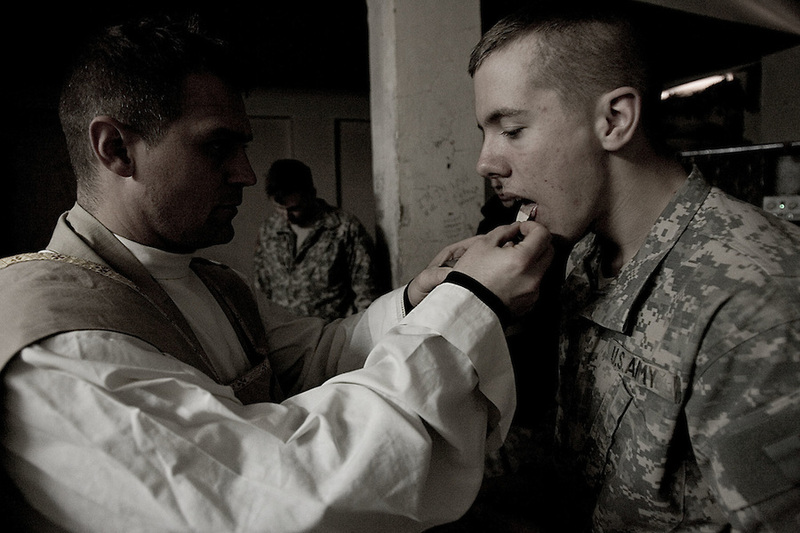 We know that all Christians are called by their Baptism to the way of holiness but some individuals, however, we know are called in a particular way to take the ‘narrow road’, ‘the road less travelled’ of the religious life – espousing their lives entirely to Christ by a radical observance of the evangelical counsels of poverty, chastity and obedience. 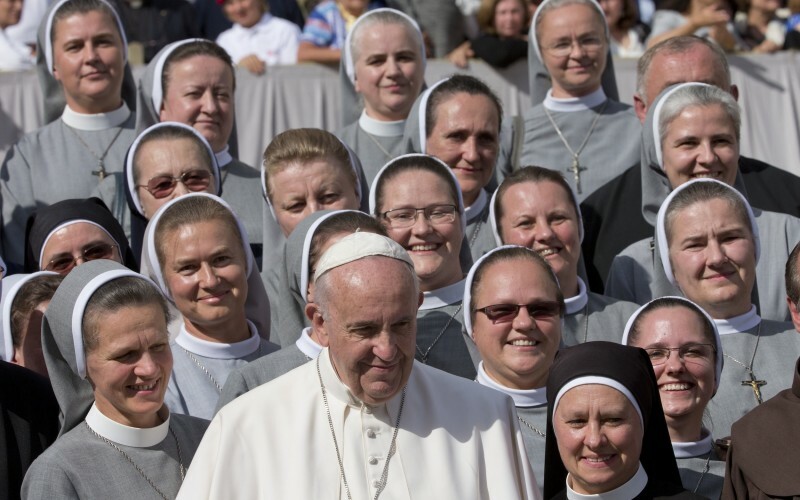 As we know, Pope Francis has dedicated 2015 a special Year of Consecrated Life – a year to celebrate this beautuful charism in the life of the Church – a charism lived by Jesus and given by Him to certain followers in every age of the Church’s life. 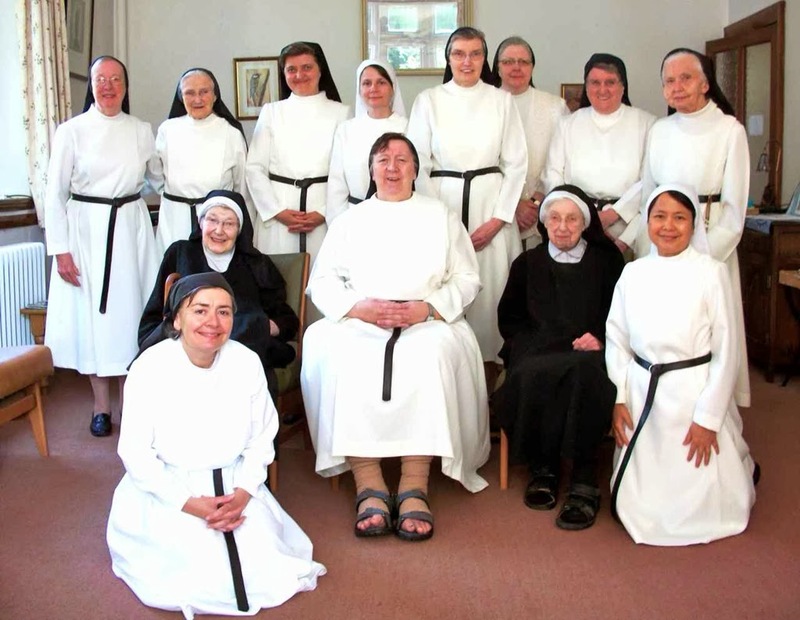 In this Year of Consecrated Life the Church invites us religious and consecrated persons, among others, to do three things: 1) to recall with gratitude our past, 2) and the specific charism which inspires our way of life, 3) to reflect on the present, and to look to the future. Speaking to assembled US religious and clergy this last month in Philadelphia, Pope Francis asked them in a homily to remember when they first heard the call of Jesus, to treasure that call and not to forget it! 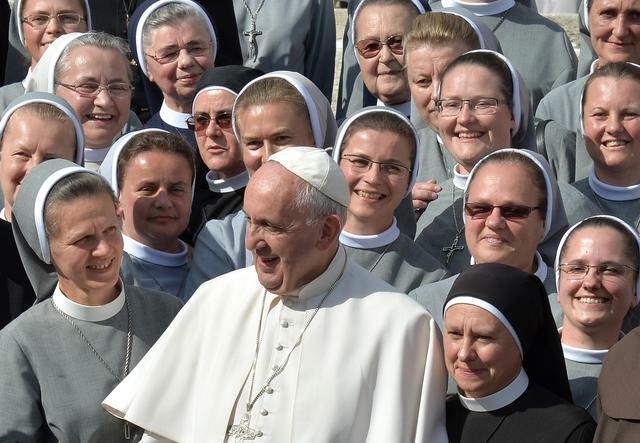 The Holy Father urges us religious to recall your own vocational beginning, and be joyful and even confident in our way of life! This year is also a call to reflect on the present, and on how we are to live out our particular consecration amid the complexities and ever fresh challenges of the twenty-first century, the modern world, a world so vastly different to the one so many of our founders knew. 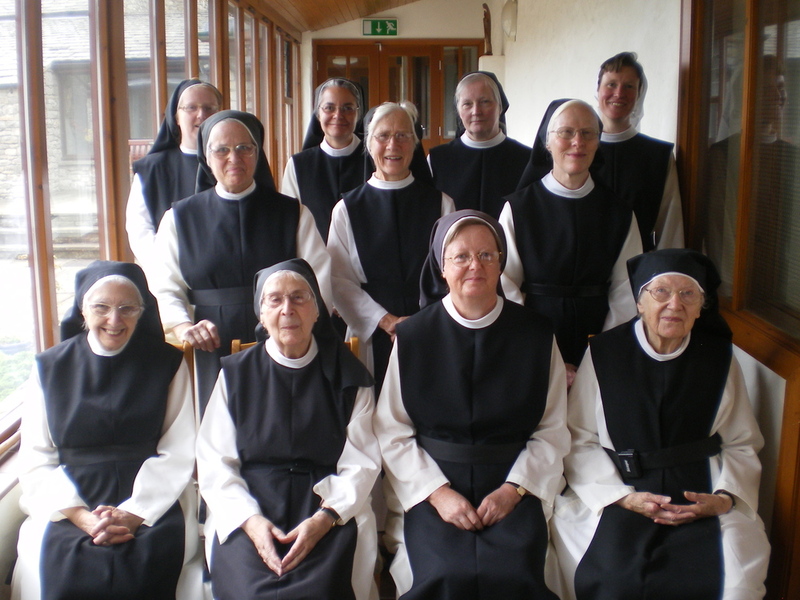 It’s true that the witness of the consecrated life can represent to people of every generation a powerful and reassuring sign of Christ’s power and presence in a fast moving but often confusing world. Our constancy, our stability, our fidelity, our creativity and flexibility and the profession of the evangelical counsels have a greater impact that you can ever imagine. 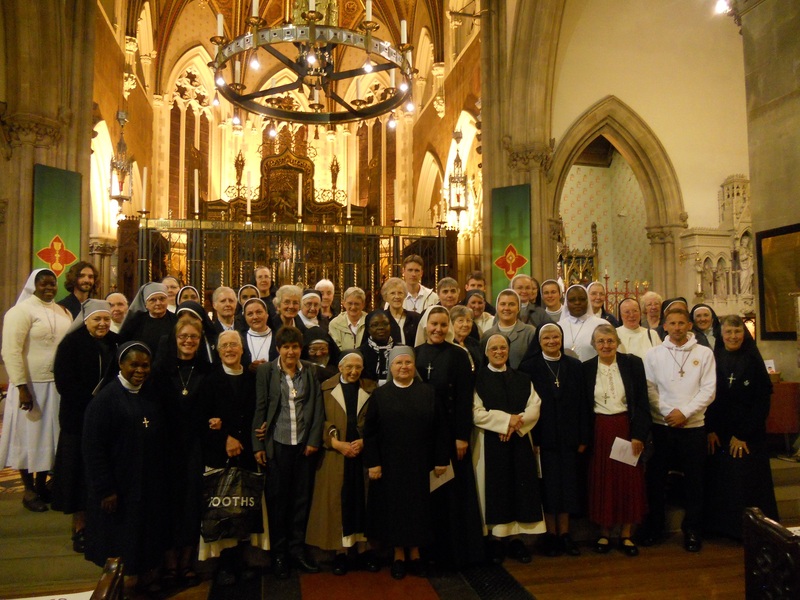 In this Diocese, contrary to the impression given by a rather extraordinary news report last week, we are blessed with so many religious communities coming to join the Diocese. These are gifts to us from the Lord, gifts which enrich so many people you as well as building up the Church, the body of Christ. 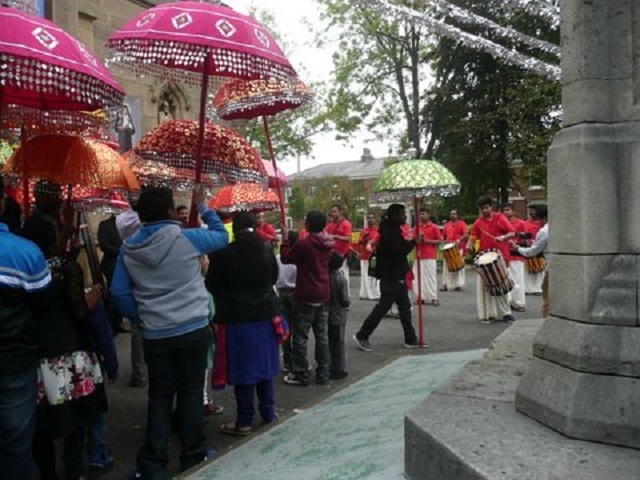 Even in Preston alone four new young communities have arrived in the last two years!! 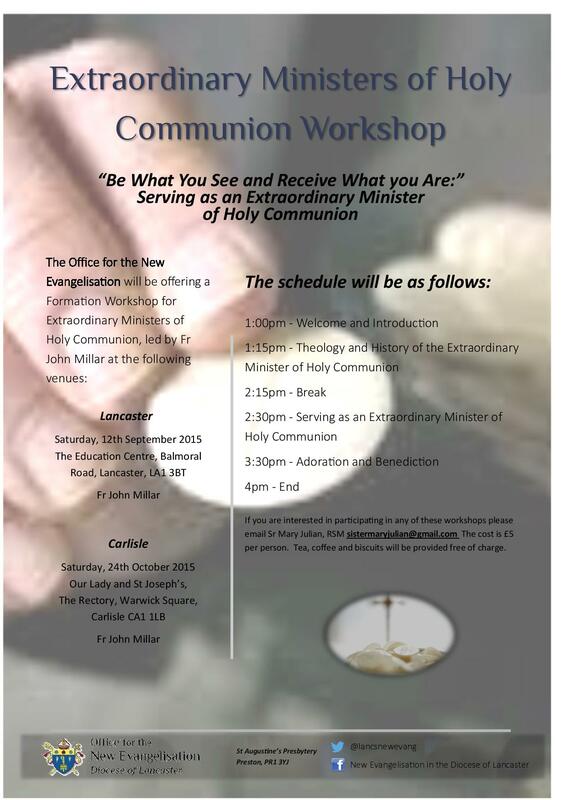 – with more female religious congregations establishing houses around the wider Diocese. 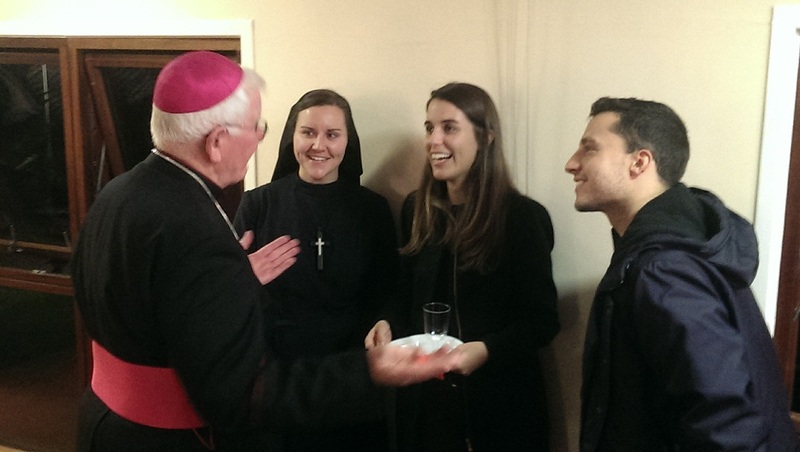 These new communities – among other New Evangelisation initiatives – I hope, will be seed-beds of new life for our Local Church meeting the varied needs of the Church today – particularly younger people – going forward. I say all this mindful that some older communities here and here have had to make the painful decision to withdraw from houses within the Diocese due to increased age and smaller numbers. 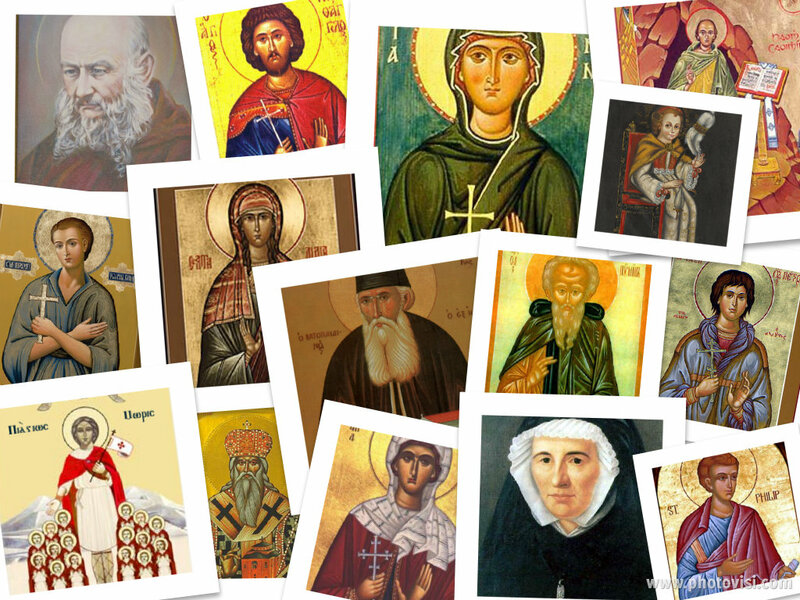 Nonetheless we are filled with gratitude to God and to them for all their apostolates and achievements among us and wish them our well with our prayers. May others now build on their good works and help make the grow. 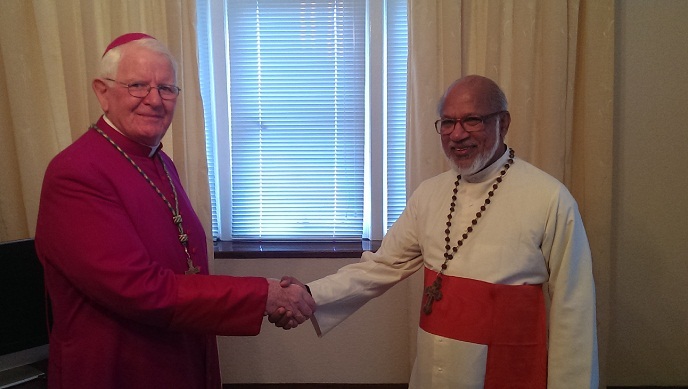 As Bishop and a fellow-religious, I, too, give thanks for all our religious communities – both the new ones and the cherished more established ones – both for what they are and for what they do for the Church. As we look to the future and whatever shape and size we have as a Diocese, we need to remember and be convinced, as individuals and as communities, that we have the guarantee of Christ’s love and power always with us. Foretelling the future is so often a precarious and uncertain undertaking, and while we may have to plan and make provision, the future ultimately rests in the Lord’s hands. 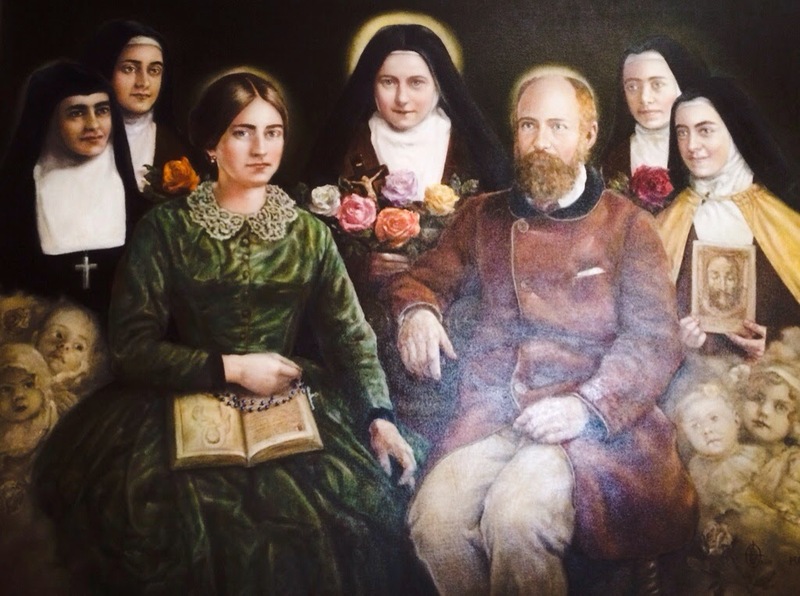 And so it is that Jesus continues to look into the hearts of young women and men today with love, a love that takes possession of them entirely, every fibre of their being and calls them to profess the counsels out of love for Him. He continues to say to them: If you would wish to follow me give up all that you posses. What is amazing is that even in today’s individualistic and fragmented culture young women and men continue to respond to this radical call. We need to all we can to encourage them and offer them the support of our prayers. The simple fact of the renunciation and sacrificial service inherent in professing the evangelical counsels is indeed a powerful sign to all that there is a higher good than what we can see in this world. 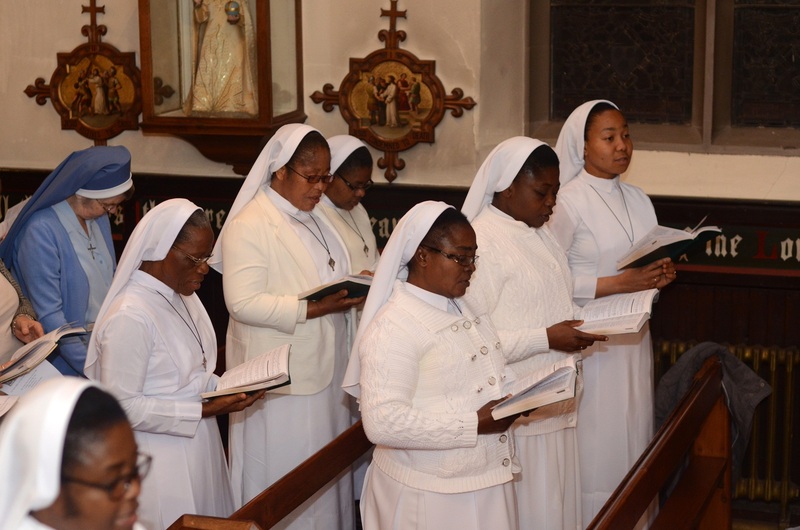 Indeed, the gift of the religious life that the Lord Jesus gives to His Church is one of the greatest and most life-giving of all. 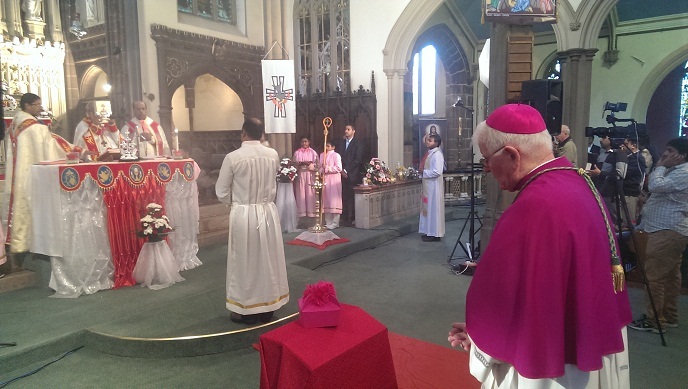 The Diocese of Lancaster had the honour, this weekend, of welcoming His Beatitude Cardinal George Alencherry, the Major Archbishop of the Syro-Malabar Catholic Church, as he celebrated (on the morning of Saturday 3 October 2015) a special Mass (Holy Qurbana) to inaugurate the two personal parishes erected for his Church in Preston (under the patronage of St Alphonsa) and for the rest of the Diocese (under the patronage of Ss Kuriakose Elias Chavara & Euphrasia). 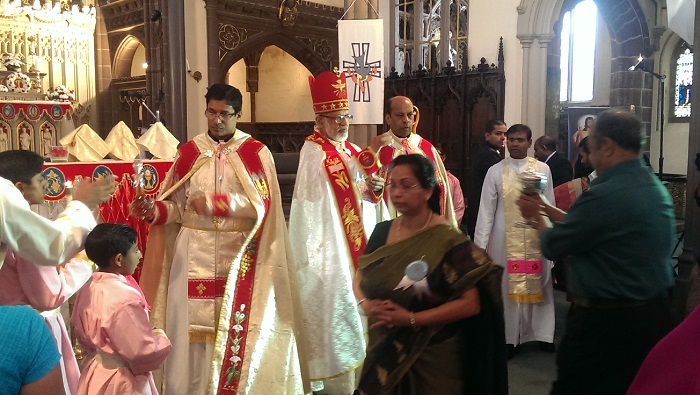 These personal parishes are the first for the Syro-Malabar Church in Europe. 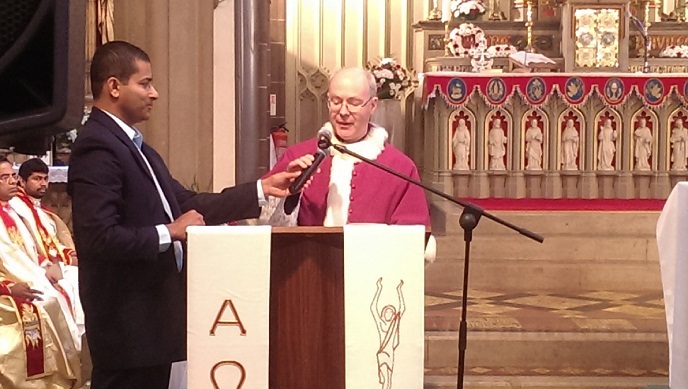 The Mass also marked out the liturgical blessing on the historic – and ‘saved’ church and presbytery at St. Ignatius’, Preston which now serves as the worship, social and catechetical centre for the Syro-Malabar Catholics across the city and area. 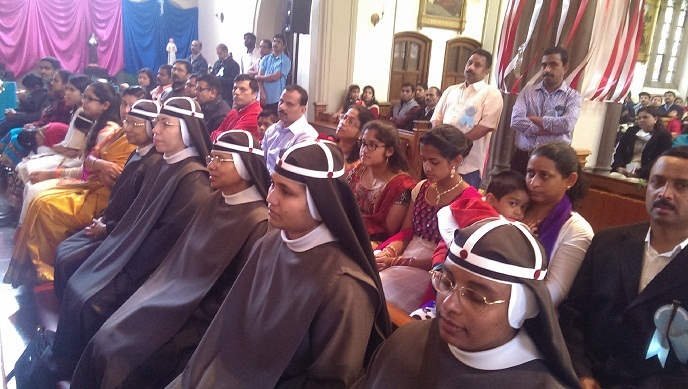 Of particular joy is that during the course of the celebrations at St Ignatius’, the Major Archbishop also inaugurated the foundation in Preston of the Sisters of the Congregation of the Mother of Carmel (CMC) – only recently arrived from Kerala. 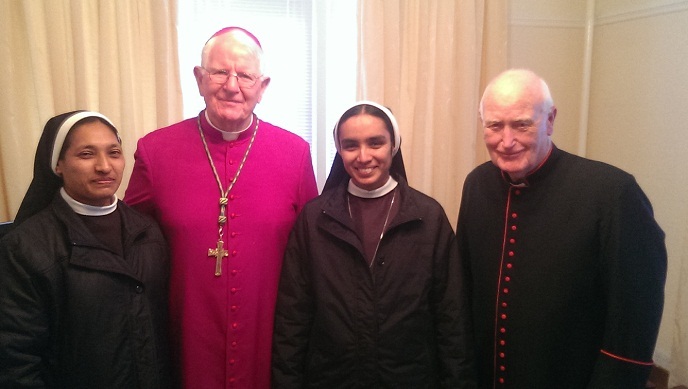 This marks the first foundation of a community of Syro-Malabar Religious Sisters in Great Britain. 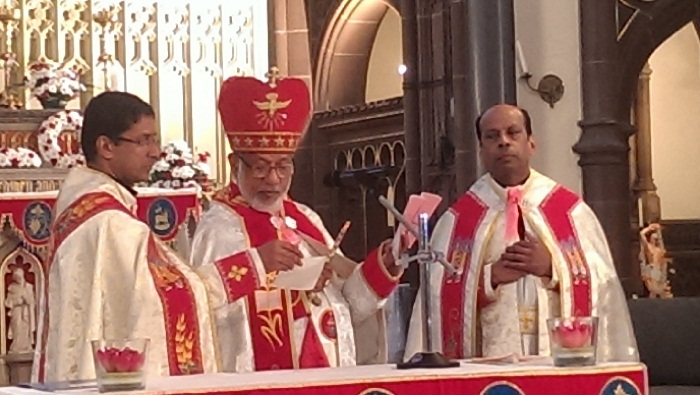 The Syro-Malabar Catholic Church – headed by the Major Archbishop – has now more than 4 million members worldwide and traces its origin to St Thomas the Apostle, who is said to have reached the shore of Kerala in 52 AD. 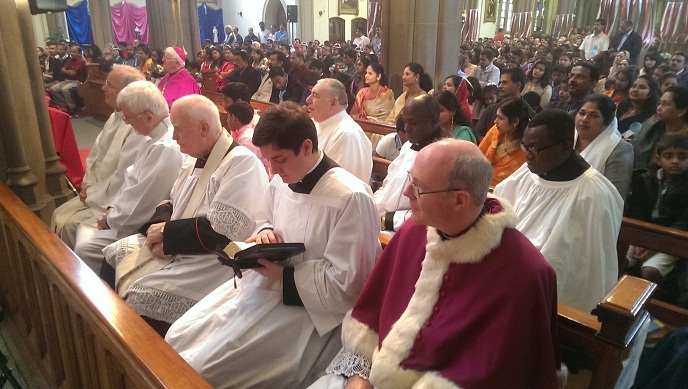 The Mass at St Ignatius was extremely well-supported with approximately a thousand people in attendance, 20 clergy from the Syro-Malabar Church and 20 clergy from our own Diocese. 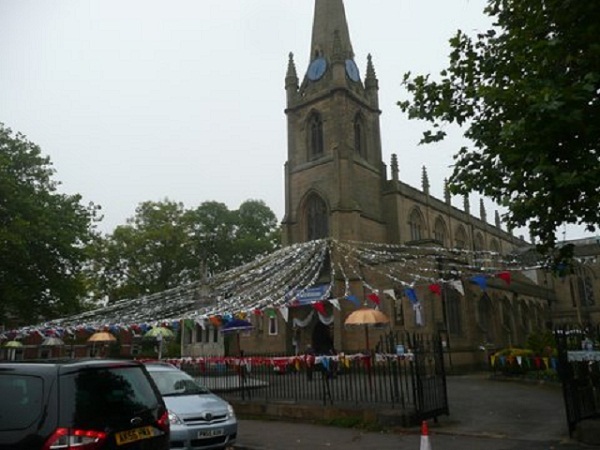 The drums, colours and music were all very striking but also a very packed church! 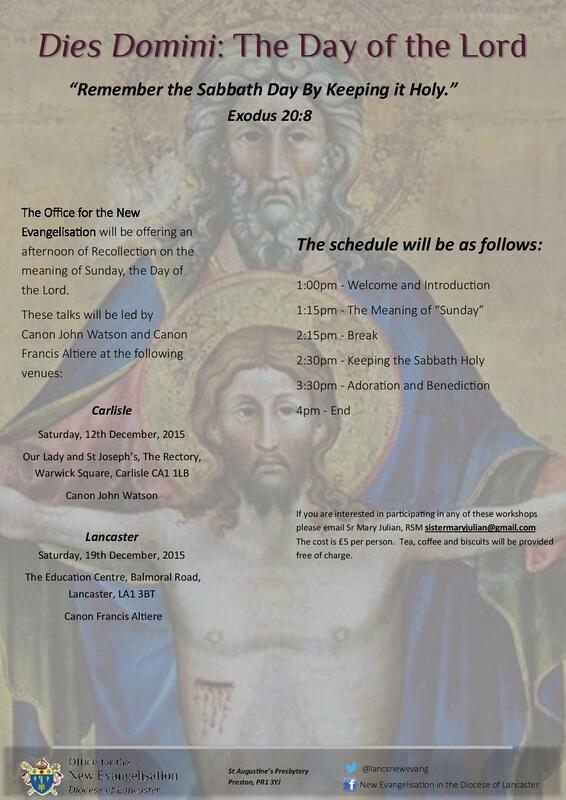 For the erection of the two personal parishes, the two canonical decrees were read out for all to hear by the Catholic Dean of Preston who attended by way of local support (below). 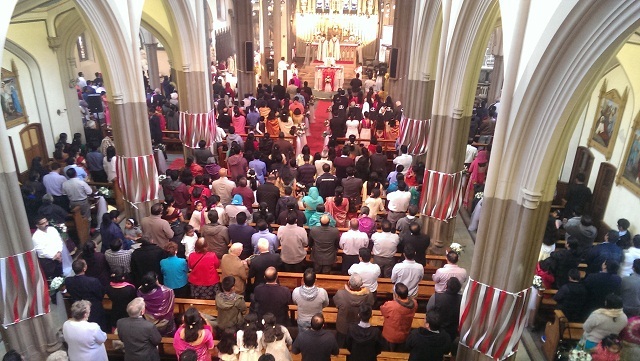 The rest of the Diocese has a smaller but well-established Syro-Malabar presence – connected canonically to the Blackpool St Kentigern’s Deanery – and ongoing provision is being made for their needs. 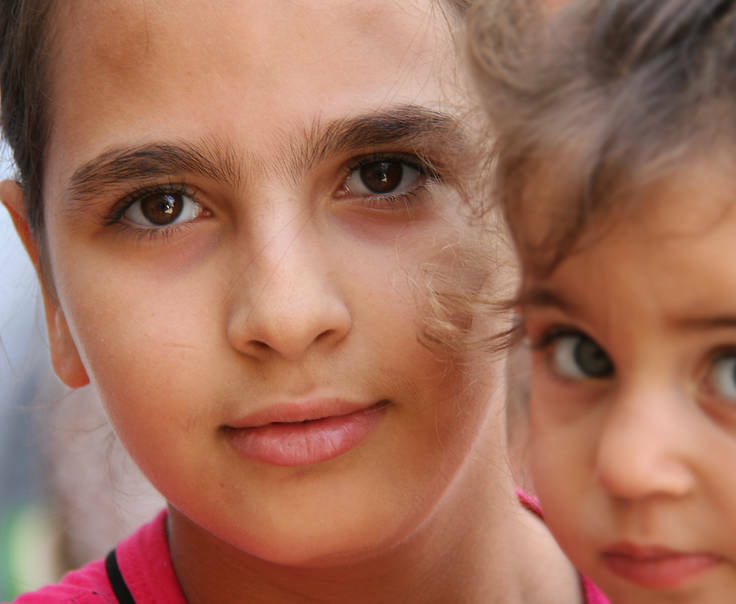 Meanwhile, we are becoming increasingly aware at the present time of the reality of migration and the plight of so many men, women and children seeking a better and more peaceful future. A frequent refrain in the Scriptures is that of ‘the stranger in your midst’, with the injunction to welcome and respect those who differ from us in any way. 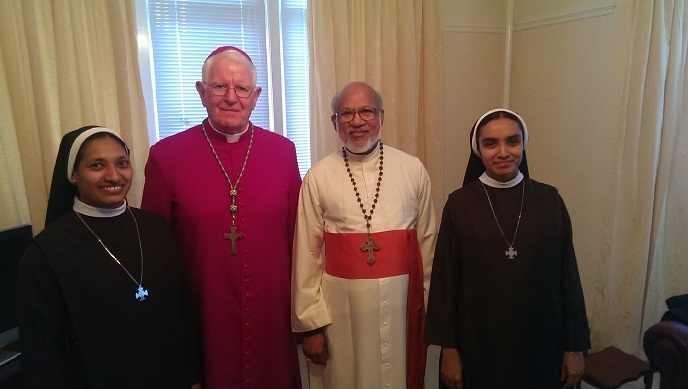 There is no doubt that the presence of the Syro-Malabar communities in the Diocese of Lancaster has brought many blessings to us, and we cannot but be impressed by the fervour of their religious practice and devotion to their faith. 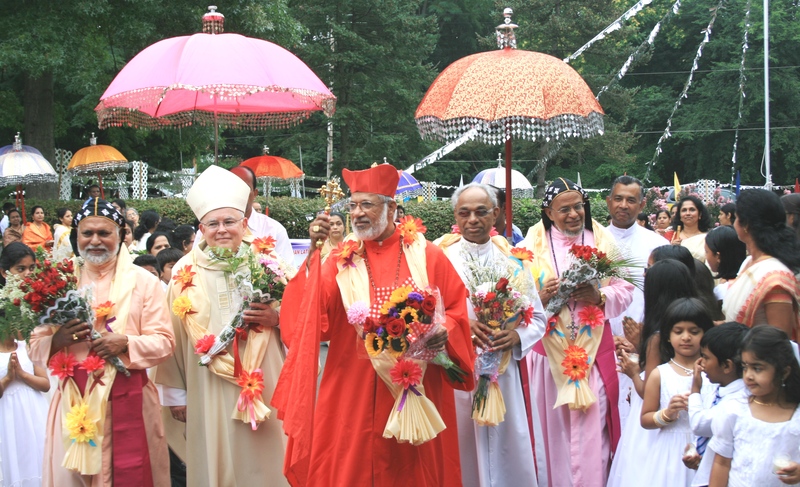 The Syro-Malabar liturgical language (Malayalam) and form of liturgy are markedly different from our own Roman rite, but are nevertheless ancient and worthy of our respect and admiration. 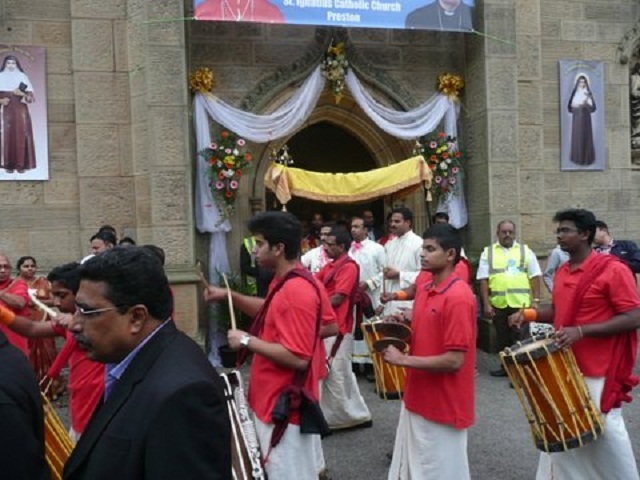 The concern of the Syro-Malabar Church authorities is to ensure that the faith and practice of their overseas communities be safeguarded and strengthened. In some parts of the world, e.g. 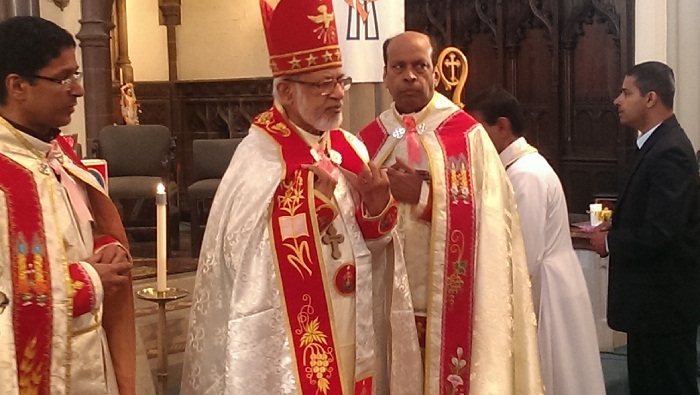 the USA and Australia, the Syro-Malabar actually have their own dioceses and bishops. 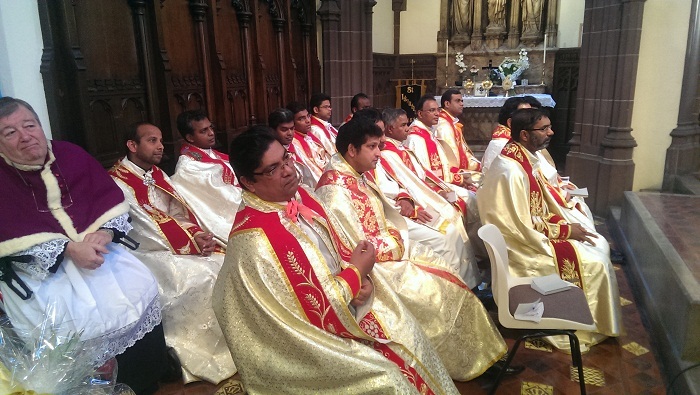 The Syro-Malabar chaplaincy in the Diocese of Lancaster was founded in 2004 by Bishop Patrick O’Donoghue and has, until this point, relied completely on various Roman Catholic parishes in Preston and further afield, to host their liturgies, social gatherings, meetings and prayer services. 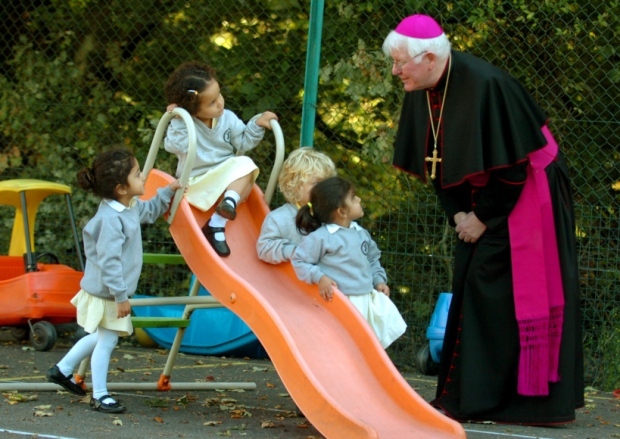 I remember clearly an appeal at a Synod of Bishops in Rome, which I attended some years ago, for us here in Europe to warmly welcome immigrants who have their own faith story and long traditions, for they can inspire and bring new life to often seemingly tired faith communities in our part of the world. 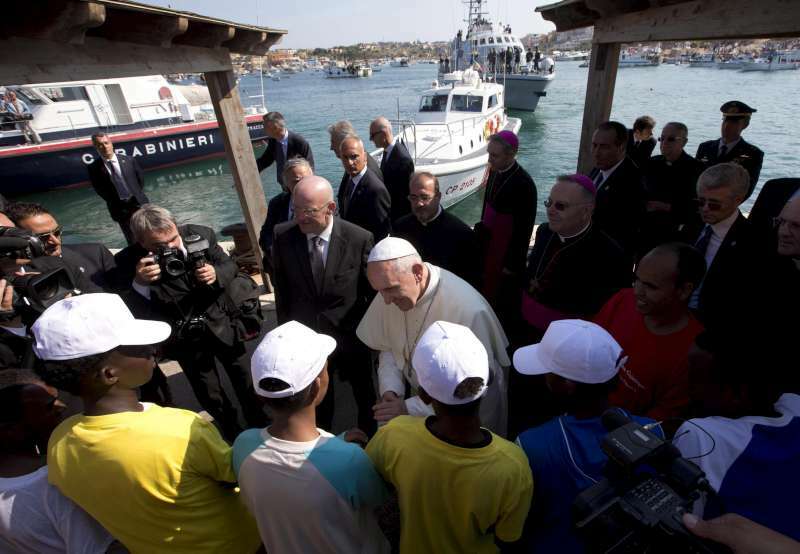 Pope Francis often echoes the call to ‘welcome the migrant’ as we would welcome God Himself. 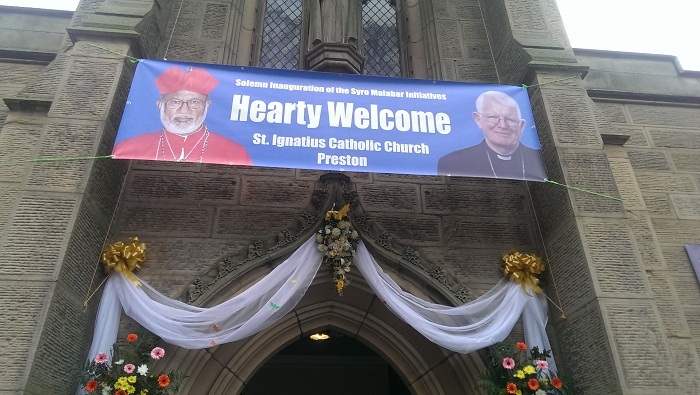 I have no doubt that almighty God will look kindly on the Diocese of Lancaster for opening its door in welcome to the Syro-Malabar Catholic Church communities. 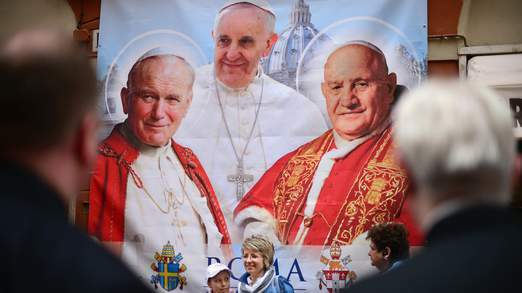 Of course, the word Catholic means universal or ‘fullness’, and the world-wide Catholic Church may be seen as a ‘coat of many colours’, having many golden strands and various textures – a ‘communion of Churches’ – united in diversity. 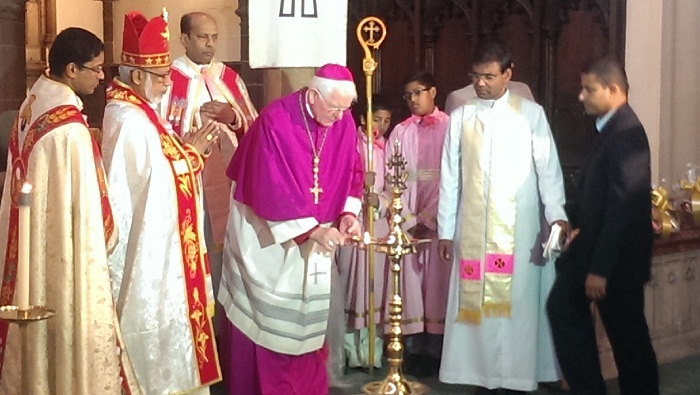 We in the Roman or Latin Church represent one distinguished strand of that coat, but an equally important and colourful strand is the ancient and venerable Syro-Malabar Church of Kerala. 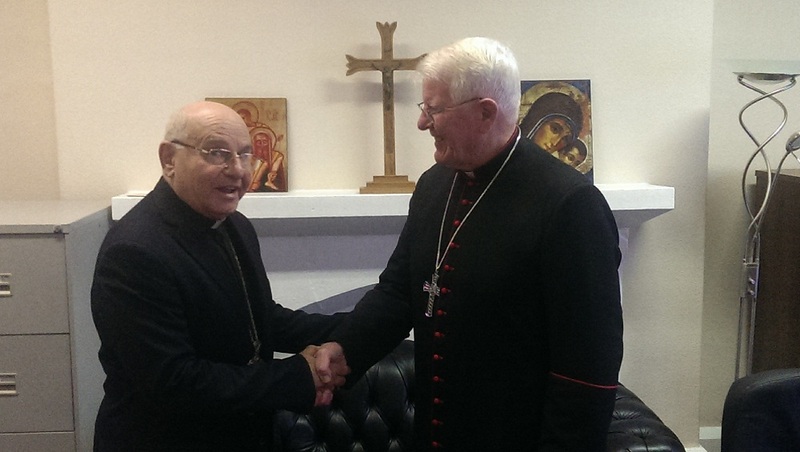 We warmly welcomed the Major Archbishop among us in the conviction that our own Church of Lancaster is strengthened and enriched by the presence of his faithful people among us.